Wild, deep feeling, dreaming and dancing music from paradise that magically places palm trees, sand and turquoise waters wherever and whenever it is played — and it goes so deep into you that you get drunk on imaginary island air and dance in the imaginary sand to the rhythms of the universe. 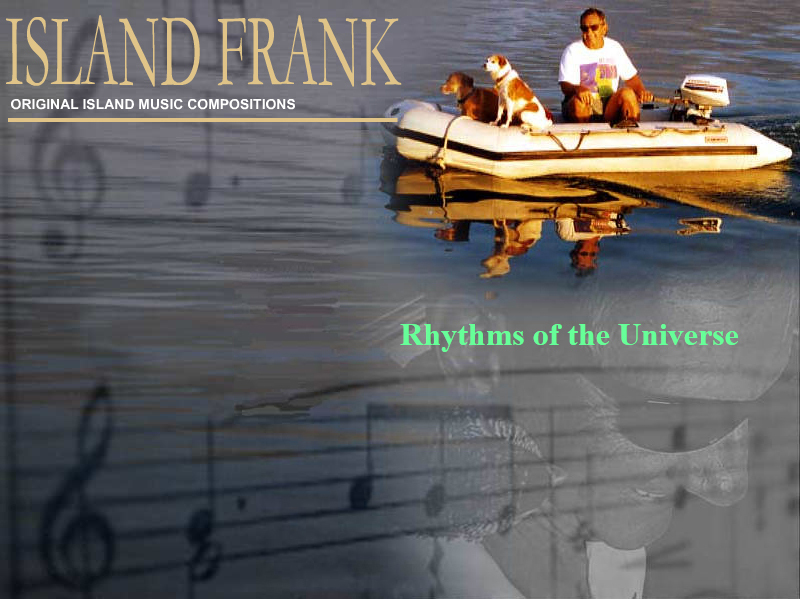 Frank Tuma is a classically trained pianist, former rocket scientist, and avid open-ocean sailboat racer who has composed and recorded a large body of original and classic island music. His styles range from reggae to limbo to cha cha. He also creates island-inspired class Caribbean, Latin, Hawaiian, calypso, salsa, mambo, samba, and many others. Instrumental sounds include steel drums, marimba, flutes, horns, guitar and various other rhythm instruments.